270 Winchester hollow point ammo provides massive expansion and fragmentation of the bullet upon impact. This discharge of kinetic energy can be quite lethal to smaller, thin-skinned game such as varmints. 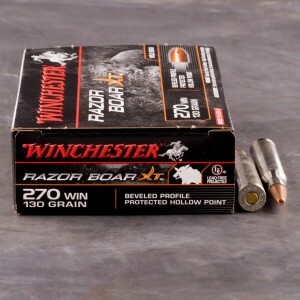 Several manufacturers (such as Winchester and Berger) are producing modified hollow point ammo that marries the penetration of soft-points with the explosiveness of hollow points; these bullets are superb choices for hog and other "tough," thicker-skinned critters. 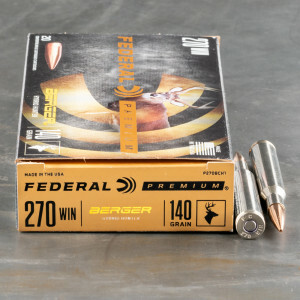 Check out the .270 hollow point rounds for sale below. Everything you see in-stock and ready to ship fast so you can get to the field and start your hunt as soon as possible.